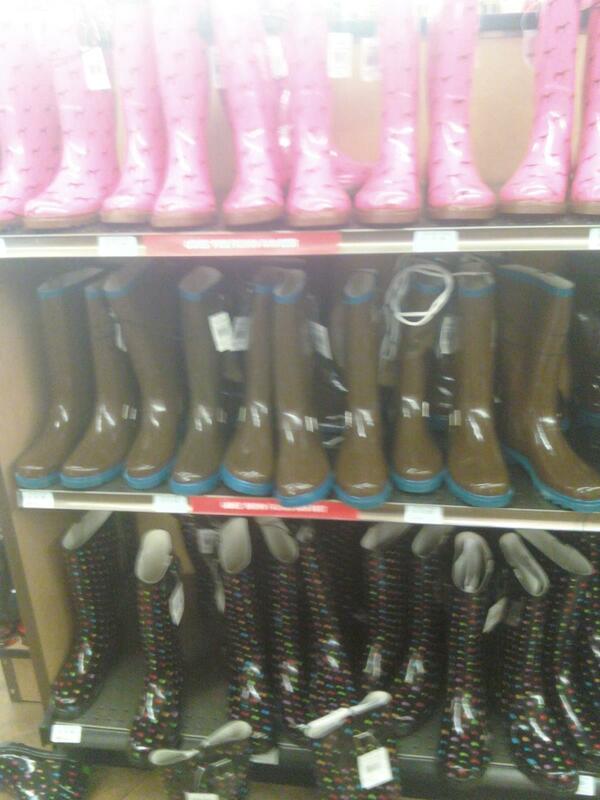 If you're looking for the cutest rain boots around, check out the Tractor Supply Store. 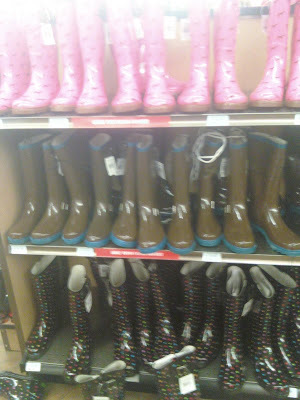 I know Target and Wal-Mart sell rain boots, but these are serious ones. 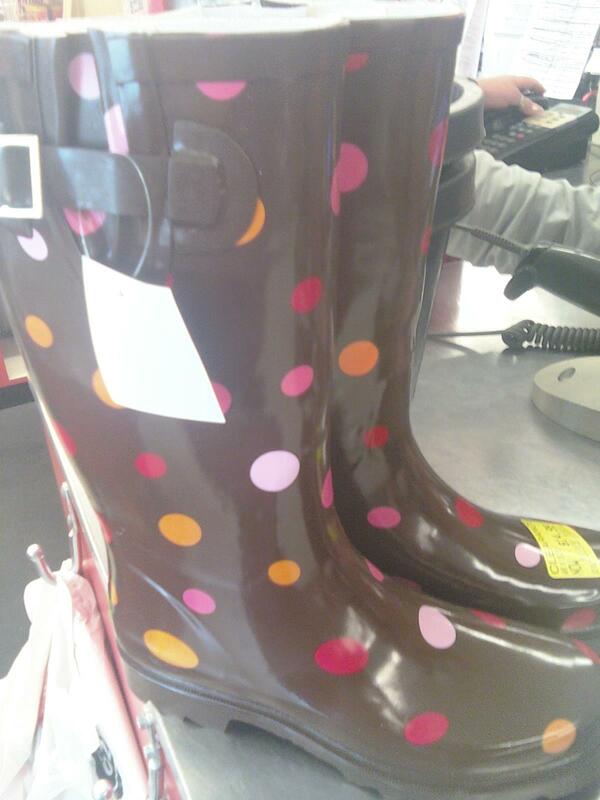 They actually work and are cheaper. I got this pair on clearance. Love it.